I remember the day when these photos were taken and me being so confused and all over the place because I could not decide what to wear. 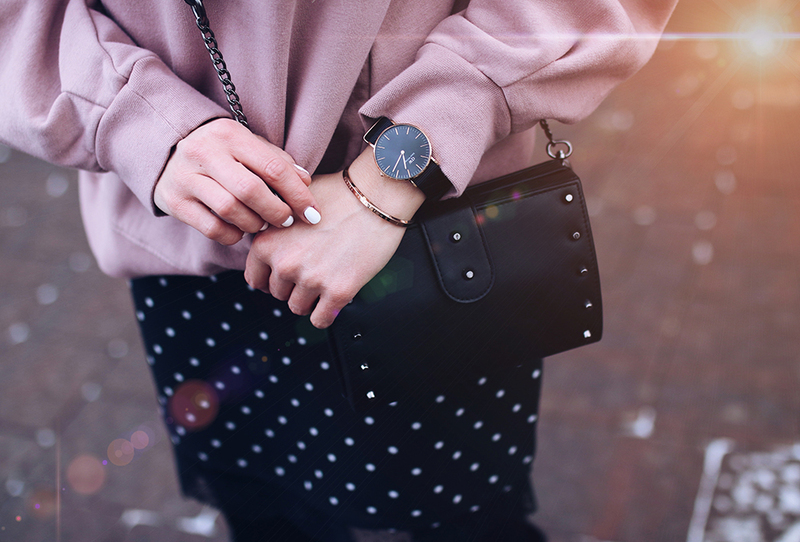 I was choosing between my new blush pink hooded sweatshirt and black and white polka dot dress. Two totally different items and I was not planning to wear them both. I'm so glad I tried these together because I immediately fell in love with the combination of tomboyish oversized sweatshirt and a girly dress with a lace detail. So pleased with the outcome!